Syfy's Incorporated Spoiler-Free Review: Is it Worth Watching? | Nerd Much? 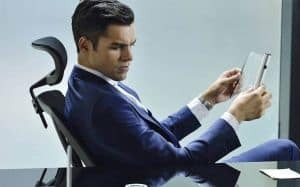 We’ve checked out the first five episodes of Syfy’s Incorporated, and here are our initial spoiler-free thoughts. The best way to succinctly summarize Incorporated is to imagine a future where Mr. Robot’s F Society (a hacker collective) failed, leading to giant corporations ruling every aspect of life in the United States. Incorporated isn’t related to Mr. Robot in any way, but it does have similar themes and concepts. Also, oddly enough, the lead actor, Sean Teale, looks like a long lost brother of Rami Malek (Mr. Robot’s protagonist, Elliott). It may seem odd to compare unrelated shows on completely different networks, but I happen to think the best way to recommend a new show to someone is to compare it to something else. Of course, every show is different and it isn’t always fair to compare two wildly different shows, but it is fair to say something like “if you like Mr. Robot but wish it had more sci-fi elements, then you’ll like Incorporated.” In fact, I think Incorporated may just be one of the next logical steps in bringing Science Fiction to a mainstream audience. Game of Thrones did it with fantasy and now shows like Mr. Robot and Westworld are doing it for sci-fi. A few problems can arise from this, though, and Incorporated definitely suffers from one: clunky exposition. Science Fiction and fantasy both have the issue of trying to teach viewers about a new world and its rules without being too heavy-handed. And that’s for people who already enjoy the genre. There are certain shorthands and tropes that can be skipped over when you can assume, for example, that your audience is willing to accept technology that reads thoughts without an explanation. When you try to reach a wider audience, one that may not readily accept the tropes us science fiction-loving nerds have come to know and love, then you run the risk of having sloppy exposition dumps. Incorporated‘s pilot, unfortunately, falls into this the trap; that is to say, episode one beats you over the head with tropes. So things move a little slow, as the writers try to make absolutely sure we understand the world of Incorporated and the technology that exists within it. The good news is: the world of Incorporated is pretty damn cool. It is the year 2074 and the United States has just barely recovered from devastating effects of global warning. In the years prior, America was essentially a third world country — as evidenced by a commercial asking for donations for hungry, sad looking Western children, a twist on the type of ads we’ve all grown accustomed to seeing in the 21st century — until two mega-corporations rose up and fixed the country. 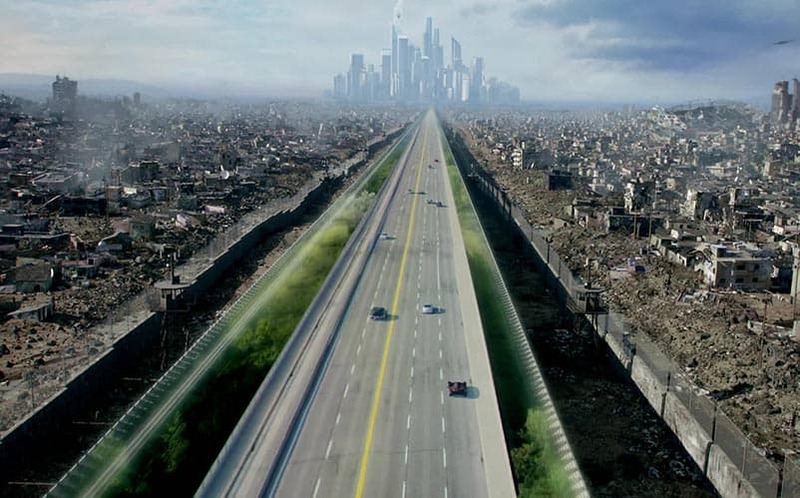 In the years leading up to Incorporated‘s first episode, the United States was ravaged by extreme climate change (and the riots that followed). These corporations rebuilt part of the country, a small section that benefits from advanced technology and access to real, natural food. Anyone who doesn’t work for either of the big two corporations is subjected to living in a lawless “red zone,” a dirty downtrodden urban area with a Mad Max feel. These people, the “climate refugees” who had to relocate from coastal cities, receive very little help from the government and live off of artificial rations. The only way out of the “red zone” is to either work for Spiga or Inazagi. Our protagonist works for Spiga and actively hides his identity as a former “red zone” slum dog. The pilot shows us that both Ben is trying to rise up through the ranks at his corporate job in an attempt to find a young woman. The show may not offer anything completely new or unique, but the combination of sci-fi elements such as nano-tech healing spray, mind reading electrodes, and chemically engineered petri dish food make for a fun experience. Sure, there are a lot of cool tropes at work here, but, again, the problem is the pilot is so jam-packed with them that it feels like the writers were just throwing every element they’ve ever seen in sci-fi movie at the proverbial wall just to see what sticks. The truth is, they all stick (for me, at least) and help define the world — it’s just a little slow and heavy-headed, which may turn some people off. The time that is lost by front-loading the pilot with exposition could’ve been spent developing the characters or conflicts. Character and plot development does eventually come, you just have to hold on until things really get rolling. So, yes, I was intrigued enough to continue watching, but others may not be so inclined. What I’m hoping is that SyFy decides to do the thing that has gotten so popular over the past few years and run the first two episodes back-to-back on the night of the premiere. I’m afraid viewers will scoff at the slow, borderline silly pilot. That would be a real shame, though, because viewers who stick with it will be treated to some pretty great character development in the episodes that follow. The protagonist, Ben (Sean Teale), is pretty compelling, due in part to the mystery surrounding him. I won’t get too detailed because this is a spoiler-free review, but I can tell you he has some deeper motivations than what’s initially presented on the surface. We also see a scrappy young man named Theo (Eddie Ramos), who appears to have some ties to Ben. His arc is almost just as interesting as Ben’s. It’s through Theo’s storyline that we get most of the action via exciting fight scenes, and Ben’s storyline treats us to suspenseful corporate espionage as well as a tense romantic relationship. Lastly, there are two very important women in Ben’s life who may or may not also be connected to Theo in some way. Ben is married to Laura (Allison Miller), a successful doctor who works in the same company. For some reason, though, he uses the tech at work to try to track down a mysterious woman. We don’t know how Ben is related to this mystery woman at first, but we do know she seems to be pretty important to him. This creates a rather interesting dynamic. These women aren’t just one-dimensional characters whose only purpose is to provide conflicts and plot development for Ben (something that was way more common in genre TV and movies from decades ago); Laura is a pretty compelling character in her own right. At one point, we see her scratch her forearm so hard that she draws blood. Then she instantly heals her wound with a futuristic medical spray before her patient comes into the room. She appears to her patients and colleagues as this well-to-do professional woman who effortlessly holds everything together, but the self-harming seems to hint towards something dark within her. As far as the mystery woman goes, well, I can’t say anything about her without spoiling anything, but I will say she is another interesting character. It is these characters and their respective stories that kept me invested in the show. The sci-fi elements and tropes, as is often the case in this genre, only serve to heighten the themes. The true, human story would remain intact even if it wasn’t set in 2074. Most Science Fiction, at its core, is about what it means to be human and Incorporated is no different. This theme is timeless, which is why we’ve seen it from the short stories of Ray Bradbury and Isaac Asimov to the Matrix Trilogy and HBO’s Westworld. But Incorporated offers some other, more timely ideas like “what would happen if mega-corporations overtook the worlds’ governments?” and “how would a catastrophic climate event affect the United States?” I have to say, Incorporated‘s answers to these questions are pretty scary; both because they posit a really dark version of America and because they are pretty damn believable. Where Black Mirror and Mr. Robot present a near-future that is similar to the world we live in today, Incorporated assumes the worst and shows us the darkest possible version of our society fifty years from now. 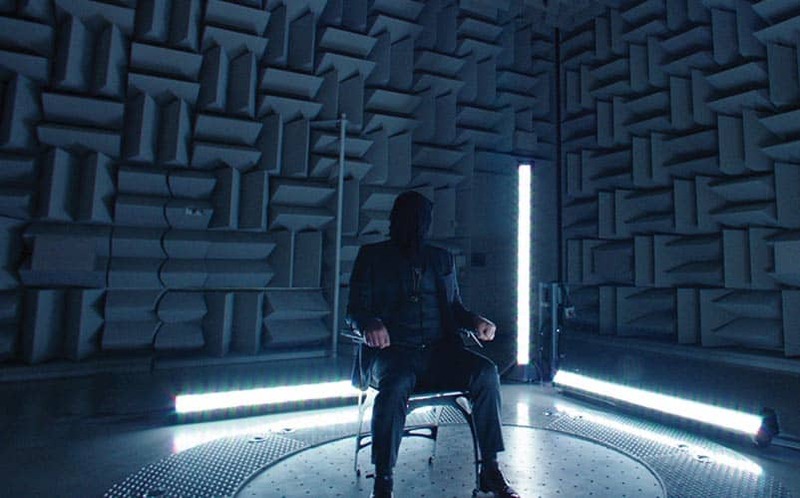 Incorporated is definitely a show I would recommend to anyone who enjoys Science Fiction. Does it appeal to people who aren’t necessarily into the genre? I don’t know and can’t really say. Westworld (my current favorite show on TV), for example, is a Science Fiction show I would undoubtedly recommend to anyone, even if they aren’t into sci-fi. What I will say about Incorporated is this: whether you’re into sci-fi or not, give the show at least two, maybe even three, episodes before you tune out. If it doesn’t hook you by the end of episode three, then it’s not for you. I for one know I will be invested in the show, and I’m really looking forward to the back-half of season one.